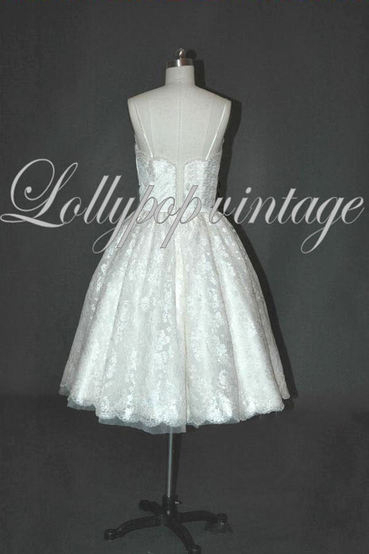 Our Lizzy 50's style wedding dress is totally vintage . Featuring a thick bridal satin underlayer and lace overlayer & wide neck for a real Hepburn feel! The dress can have either zip fastening or corset back. Fully boned bodice and fully lined. Available in ivory size 14.